In 1961, the Iron Curtain described by Winston Churchill manifested itself into reality. 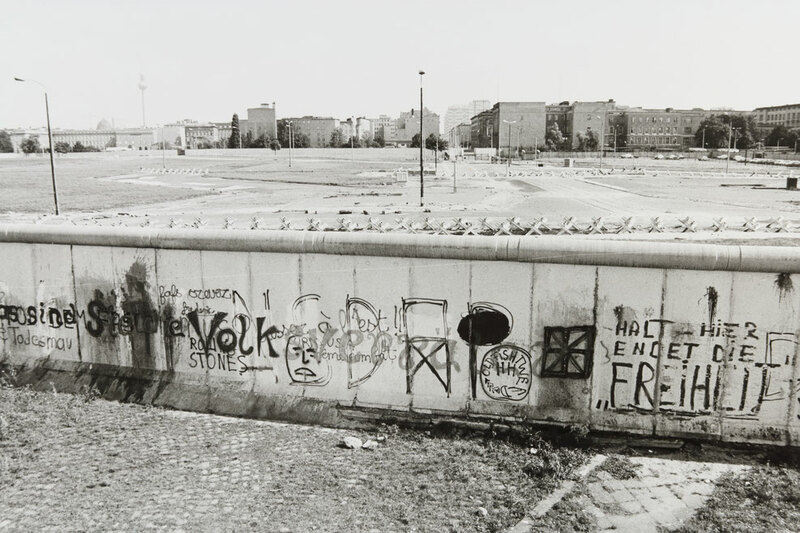 The Berlin Wall – the concrete barrier that divided the capitalistic West Berlin from the socialist East – would symbolize divisions of the Cold War until it was torn down in 1989. This week was a special one for the memory of the Cold War: it marked the point in which the Berlin Wall has been destroyed longer than it stood. The tearing down of the Berlin Wall on Nov. 9, 1989 was the ultimate moral victory for the West. In the end, it was not massive armies or ballistic missiles that would decide the struggle between capitalism and socialism; the liberty of the West proved too overwhelming a force for central planning to combat. Now that the Wall is down, Westerners have lost what was a reality check for almost three decades. Grievances with the nature of capitalist society was quelled when the alternative painted such a dark portrait. The multitude of East Germans died attempting to escape to the West – also not a cause for favor with the socialist side. However, now that the Berlin Wall is gone, utopian romanticism for an alternative society is fading from the Western mind; it is practically erased for millennials who have no memory of the Wall. These notions are encouraged when older commenters who can remember the Wall, but choose not to, rave in writing and on TV about the impending American decline under a leader with whom they disagree as if they were street-corner apocalyptic preachers. With hysteria of American decline and romanticism for the existed socialist alternative, it would be wise to briefly compare and contrast to two societies once divided by a concrete barrier. Despite the warnings from the prophets of decline that inhabit the media and intellectual sphere, the fate of free nations is hardly decided by their leaders. Let us look at the time period following the construction of the Berlin Wall. In the period following its erection, one president was assassinated. The next president led the country into the greatest foreign policy disasters in American history. Concurrent with that came arguably the most destructive domestic policy regime to come out of Washington. That president would not run for reelection. The next president would be forced to resign, or surely face impeachment. The next would not even be elected; the vice president of the previous administration went down with the patriarch, prompting the ascension of the Speaker of the House. The next president after that would be trampled on by the Soviet Union. Those years, 1963-1980, were a low point for the American presidency; assassination, disaster, corruption, failure and incompetence would define the institution. All the while, the United States grew economically and progressed socially. The same narrative cannot be said about the Soviet Union. For the Soviet Union, the citizen belonged to the state. The labor and ideas of each citizen was a tool for the government's public good. Of course, not much “public good” was achieved. Not that the Soviet leadership had overtly malicious intent; the opposite is true. The Soviet Union, and all the evil it did, was predicated on what was believed to be a just and noble cause. To a regime that equates capitalism and fascism as synonyms, it becomes easier to understand the motivations of the Soviets – which makes their cause increasingly more insidious. The entirety of the Soviet existence was predicated on terms such as economic equality and social justice: terms widely admired in the West today. The actions taken by the Soviet state were done so in pursuit of those objectives. For example, the starvation that inflicted Ukraine and other Soviet territories was done so in an attempt to root out what remained of capitalism in the countryside. All of that led to the dystopia (an overused and misunderstood word) that was the Soviet Union. Westerners, and Americans in particular, would do well to look at their place in history. Americans should appreciate the advanced time they live in, and not dwell on the cosmic injustices that will never be solved – no matter how many regulations are passed and no matter how many purges are ordered. The Soviet Union and the communist bloc it controlled tried that for a while. They did not like it.